On Monday, 26 November, at 12 p.m., in the VIP Hall of the Romanian Athenaeum, it took place the drawing for the pass lottery to the 2019 George Enescu International Festival (31 August – 22 September 2019, Bucharest, Romania). 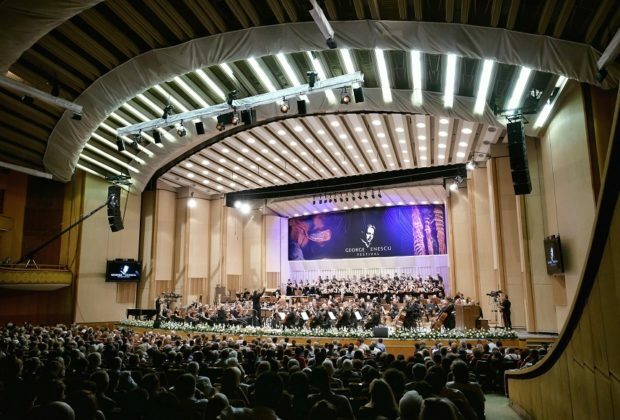 The drawing was organised by Eventim and broadcasted live on www.festivalenescu.ro, the YouTube channel and the Facebook page of the Festival, with a total number of 1,850 passes going on sale. The drawing took place in the presence of a committee comprising: Sergiu Crețu, attorney-at-law with Ţucă Zbârcea & Asociații, Mihai Constantinescu, executive director of the “George Enescu” International Festival and Ionuț Buha, Eventim general manager. The procedure entailed the use of random.org to select a list of persons for each series of concerts and each category of tickets available. Thus, in the first round, 221 people registered for the 60 available individual type A passes in the Great Concerts of the World series, category I, and in the second round, for the family pass category, 762 people registered for the 125 available passes. The procedure was repeated for each series of concerts and each price category. A total number of 20 drawings took place. To comply with data protection rules, the lists of participants included each participant’s registration number. The winners will be contacted by Eventim.ro over the following days to be made the offer to purchase the festival passes. The payment period is 27.11.2018-12.12.2018. The passes that are not purchased by the deadline will be redirected to those drawn on the waiting lists, in order. The lottery was aimed to increase the chances to buy tickets, making them equal for all interested parties, given that in the previous editions of the Festival there was a huge volume of requests for festival passes. Individual tickets to the 2019 edition of the George Enescu International Festival go on sale on 6 March 2019.